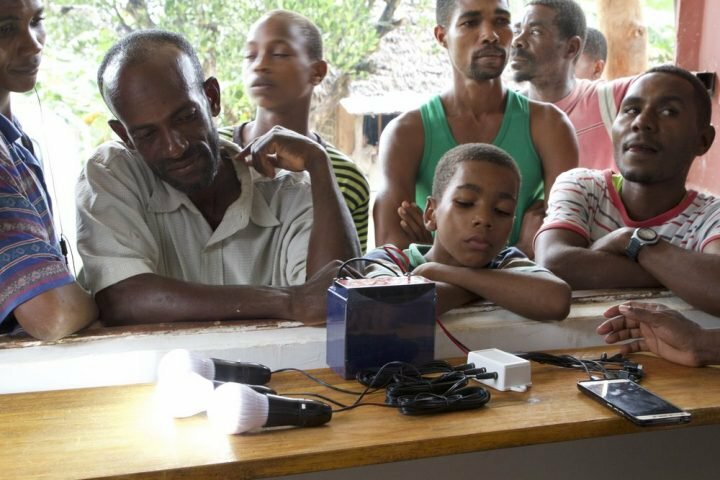 With an estimated two-thirds of the African continent with little or no access to electricity, there exists a great need for new technologies that address this vital determinant of economic development. Despite huge potential in power generation through hydro and wind energy, studies show that the distribution network of electricity in Africa is poor, especially in remote areas. As a consequence vital services such as telecommunications, water supply, health care and education are neglected, creating significant barriers to development. However, despite the many challenges, there is optimism that new innovations in technology can provide a cleaner and lower cost supply of energy to the continent. In advance of the RES4Africa RES-EXPO conference, we wanted to profile the 5 disruptive EnergyTech startups from Africa that were selected to showcase their innovations on the main stage. With increased yields and prices falling by 80% between 2010 and 2015, the electrifying growth in solar energy is sparking innovation in a number of startups. SolarCreed is a Dutch-based company that provides an affordable, pay-as-you-go solar power solution for poultry farmers. Their system can provide up to 10 hours of LED lighting a day and is 50% cheaper than using diesel. According to the International Energy Agency (IEA) this switch to cheaper and cleaner energy can cut a firm’s energy costs by half. The “pay-go” system also means small farmers can incrementally add credits rather than investing in an entire system. 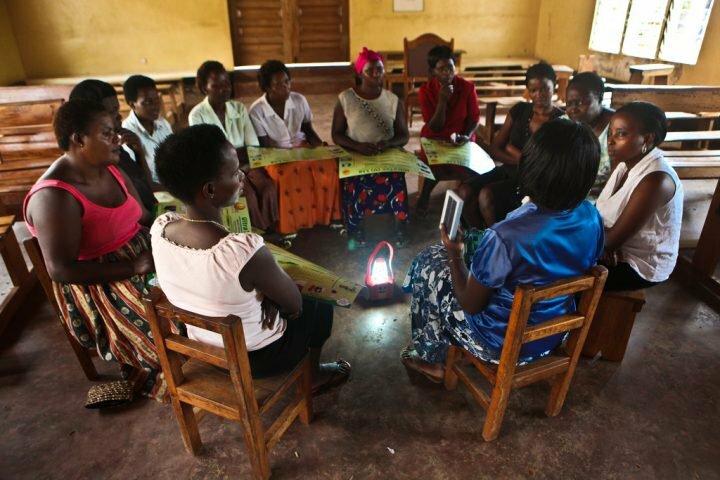 Eva introduces solar lights to new solar sisters members in Mityana February 24, 2011. Another startup that uses innovation in solar technology to reduce inefficiency is SolarFreeze, which uses cold storage as a service application for farmers. They have identified post-harvest losses as a major issue facing African farmers, with an estimated 80% of produce perishable due to lack of refrigeration. For resource-limited farmers in the developing world, cold rooms and transportation systems employing mechanical refrigeration are economically and practically infeasible. SolarFreeze’s solution to this problem is to provide an integrated and holistic approach by building capacity across the value chain, from storage to transportation. Their mobile solar-powered cold rooms can be monitored in real-time through their application, recognizing the need for effective and efficient post-harvest analytics for farmers. One of the biggest challenges facing farmers across Africa is unreliable rainfall. With high input costs and labor inefficiencies in irrigation and pumping technology, SunCulture is a South African startup hoping to disrupt the AgroSolar market with an innovative solution. Combining the energy efficiency of solar power with the effectiveness of drip irrigation their system makes it cheaper and easier for farmers to grow higher quality crops and increase their yields by 300%. SunCulture’s Irrigation Kit can draw from any water source (lake, river, stream, well, borehole, water harvester, etc.) using solar technology without the need for expensive batteries or inverters. This water and energy-efficient system enables farmers to grow more crops with less water. Power distribution, rather than generation, is another major stumbling block to development in Africa with electricity grids seldom making it beyond big cities due to high costs of installation. JazaEnergy is a Tanzanian company specializing in the distribution of solar energy in areas where it is too expensive to run power lines. A central solar Energy Hub provides power to charge portable battery packs which can then be used by locals for domestic use. JazaEnergy has also developed a ‘paygo’ system whereby customers can pay for electricity using mobile money and track their energy via a web-platform. The last startup to present on the main stage of the RES4Africa RES-EXPO conference is SunExchange, a marketplace where one can buy remotely located solar cells and earn income from them. This solar sharing-economy incentivizes investment through a crowd-funding model whereby the project will only go ahead once all the solar cells have been sold. Investors in the system can earn a passive stream of rental income while also helping bring electricity to areas in need. What is the future of energy in Africa based on the trajectory that's been set by these startups? The combination of technological innovation and the falling costs for renewable energy means there is huge optimism for the future of energy in Africa. ‘EnergyTech’ has now become a very competitive sector for innovation in science and technology with renewable energy sources a key mission given the need for a cleaner future. 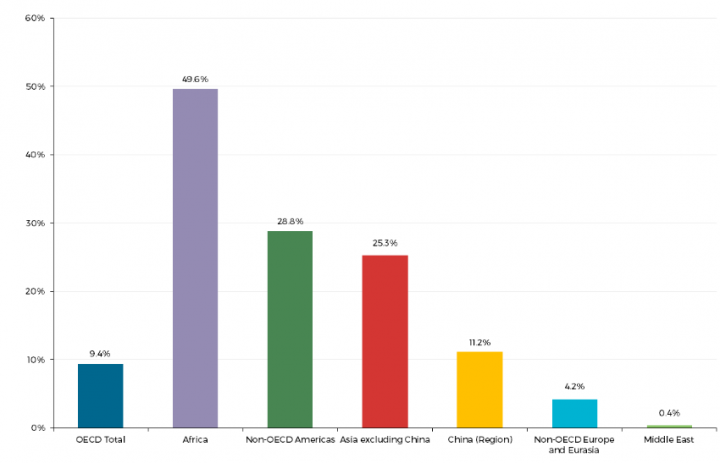 With petroleum having accounted for about 80% of the country’s commercial energy requirements up until now, there is greater urgency for the continent to meet its challenges head-on. With renewed focus on the UN’s Sustainable Development Goals - to ensure affordable and clean energy for all means - there is hope the continent could significantly reduce its CO2 emissions. With abundant clean power resources in major new hydro-energy facilities on Lake Turkana and the River Nile, Africa has the potential to propel itself towards a renewable energy revolution. The World Bank reckons that with continuous energy supplies, sub-Saharan Africa’s economies could be growing by two percentage points a year faster, on average, than they do now. As the market grows, private sector investment will also increase with an estimated US$6 billion per year invested in renewable energy. The ripple effects of such investment can foster socio-economic development in rural Africa, creating a thriving job market and improved quality of life for millions of people. Our partner, Enel X is the advanced energy services division of global power corporation Enel. Enel is one of the world’s leaders in the renewable energy sector and the largest private energy player in Africa’s renewable sector. The RES4Africa RES-EXPO conference is an opportunity to build on the ongoing policy dialogue and scale existing networks for companies to connect and form renewable energy partnerships. Key stakeholders in the East-African ecosystem will have the chance to meet and discuss important topics for renewable energy deployment such as enabling policy and regulatory frameworks, financing solutions and innovative business models, technological and technical issues, capacity building and socio-economic benefits to local economies. Enel X is actively searching for innovators in the energy sector in Africa. Together with Seedstars’ expertise in identifying and supporting startup activities in Africa, the RES4Africa RES-EXPO conference is a perfect opportunity to gain access to the most disruptive startups driving socio-economic development in rural Africa through innovation in renewable technology. Of the 5 startups chosen to present their pitches on the main stage, one winner will get the chance to win a three-month growth and acceleration programme. The awarding of the Africa Energy Prize at the RES4Africa RES-EXPO conference will go some way to help support EnergyTech innovation in this crucial phase for African socio-economic development. Thanks a lot to James Keating for kindly providing this article for Seedstars.